Hey, I'm a student of Industrial Design Department at Tianjin Academy of Fine Arts. And I'm working on a project which is about to design a stylus touch pen (works on capacitive screens like iPad) with pressure-sensitivity and tilt-sensitivity. But my professor wants a proof from some experts saying my design is feasible, so I have thought of Phostoshop. Because Photoshop is the most famous and popular drawing software in the world. 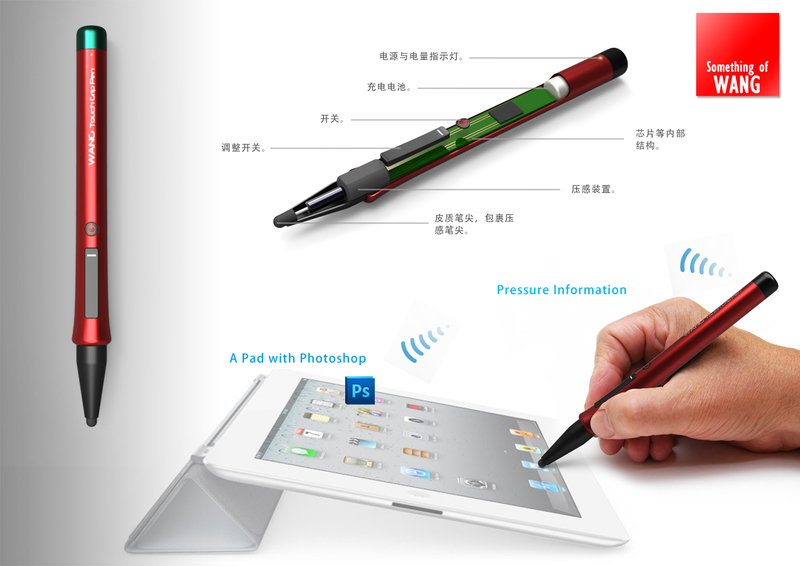 My design is simple - to design a pressure sensitive pen which is a conductor, so it can determine the locations on the iPad or other devices with capacitive screens. And the pen will give pressure sence information to the iPad or PC through Bluetooth. And a software like Photoshop will be working on the location and pressure information to show what we have drawn. So I wanna know if this principle is feasible. And if the principle is feasible, will it be compatible with today's Photoshop, or maybe - just maybe - it will be compatible on the future Photoshop. Please reply me if possible. My e-mail is 853524323@qq.com. Thank you very much. And sorry about my English, forgive me if I have offended. Thanks again.